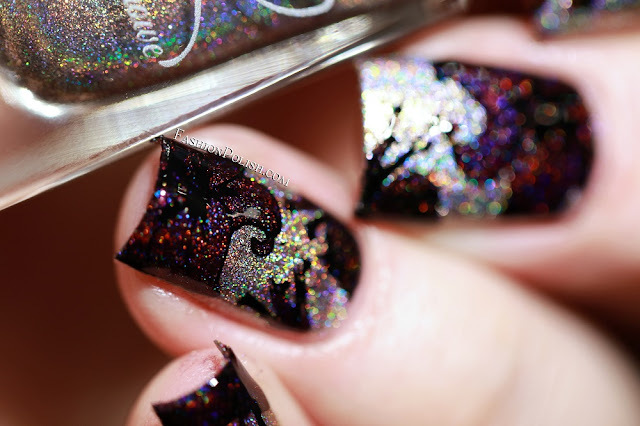 Fashion Polish: NEW Creative Shop stamping plates nailarts & review! NEW Creative Shop stamping plates nailarts & review! Did you know that Creative shop carries an entire range of stamping plates on top of their famous stamper lines? And did you know that they have just released a whole bunch of new plates? Well I have two new plates to share with you today! 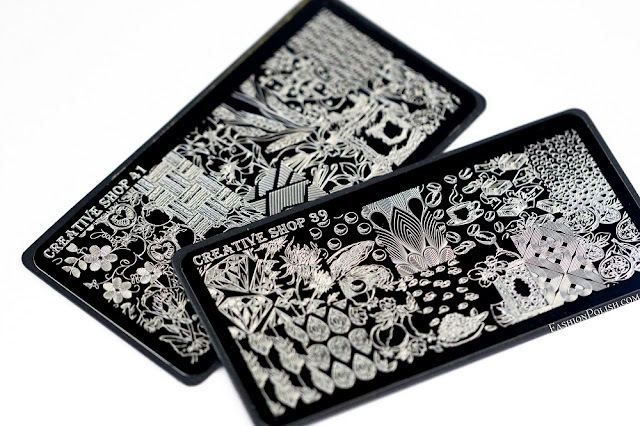 I received the 39 and 41 Creative Shop plates to try out. They both had full intricate designs and deep etching allowing easy and crisp pick up. 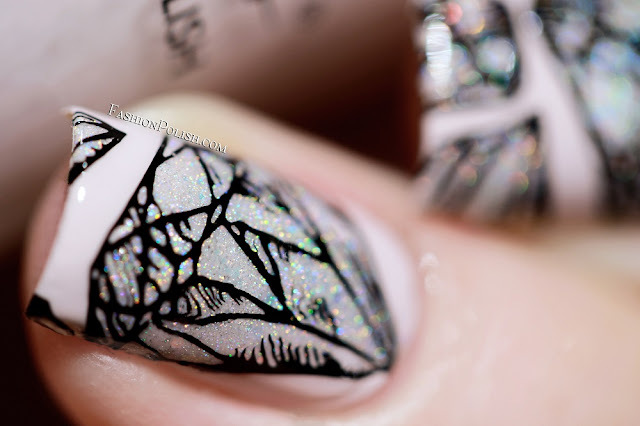 I used the diamond design and reverse-stamped it over KBShimmer Caught on Tape after filling the diamonds with Enchanted Polish Opals & Cream. I started by applying Colors by Llarowe Arc de Triomphe and then added decals using the hibiscus floral design filled with Colors by Llarowe Boulangerie and Mona Lisa. 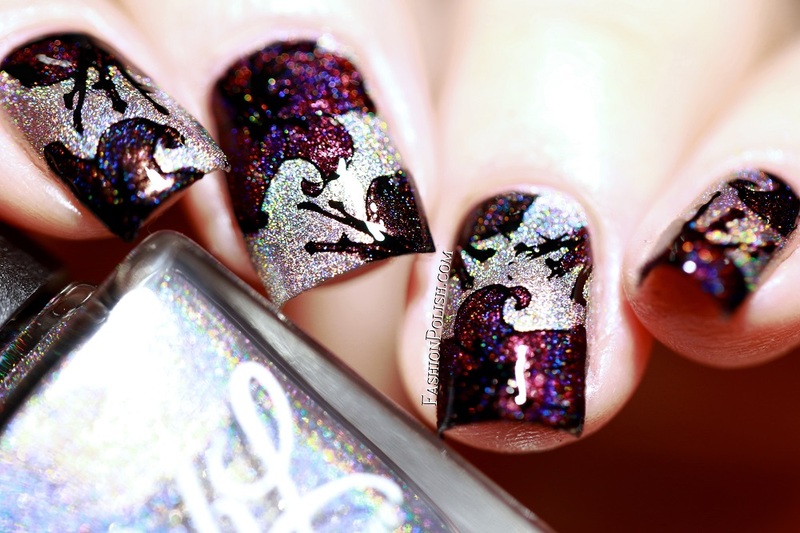 This is my first experience with Creative Shop stamping plates and I already want to get more! 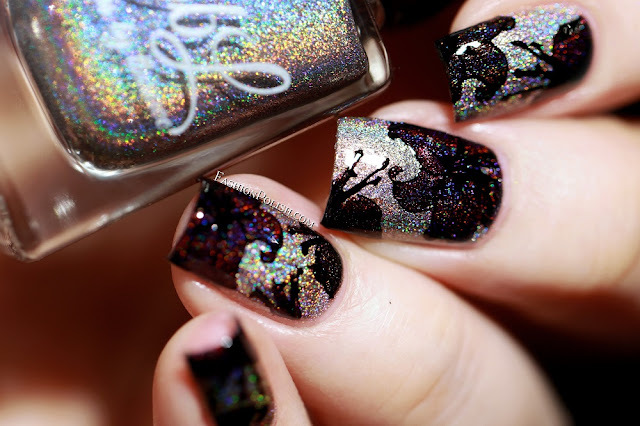 I love the sleek black backing and variety of designs. Creative Shop plates retail for $9 and can be purchased on creative-shop.sells.com.ua or through your favorite stockist (list).